A recent post gave attention to an initiative in the UK relating to the centennial commemorations of the First World War. Subsequent posts will also deal with similar British initiatives, but this week we want to focus on something at the local level. 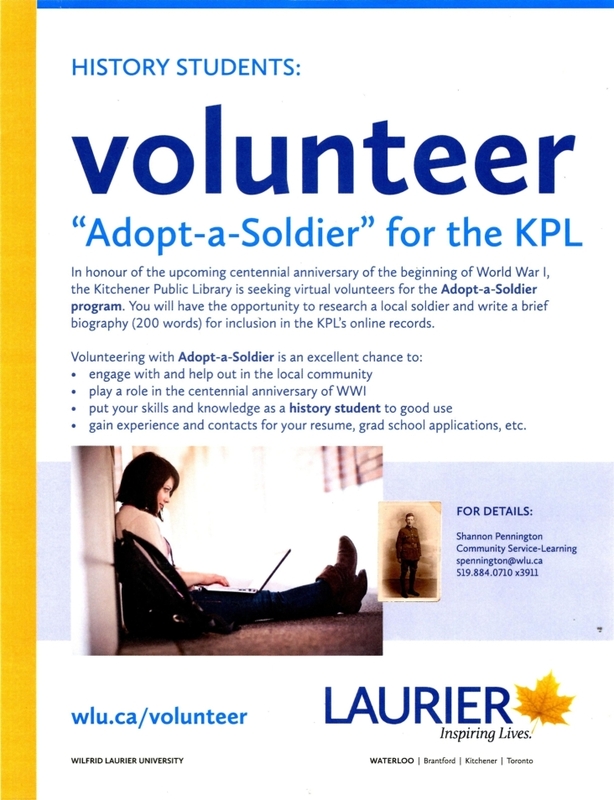 The Kitchener Public Library (KPL) has launched a crowd-sourcing initiative recently, aimed at enriching the information in their database regarding local soldiers of the First World War. In particular, the KPL is looking for interested participants to write 200-word biographies of these soldiers as a form of commemoration for the centennial dates of the war. The value of this initiative lies in its aim to bring back to life the stories of the men who fought and died in the First World War. By resurrecting such personal stories, members of the public can establish a deeper connection with the history of their community as well as helping to keeping alive the public memory of those who served us in the past. In addition to this, volunteers gain valuable experience engaging with their community, which could lead to future opportunities in the realm of public history. Students of history are ideal candidates to work on the project. Many are adept at interpreting primary documents, extracting salient information, and translating this raw material into a concise piece of writing for public consumption. 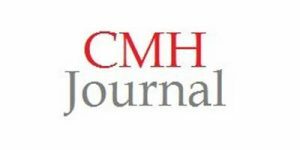 We at the LMH Archive encourage our local followers to participate in this worthwhile initiative, as it will benefit the community and provide a platform for students to exercise the skills they attain through earning a degree in history. For contact information, see the poster included in this post.